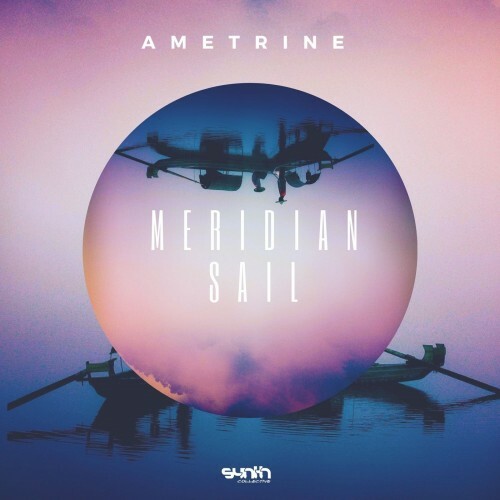 Date: 12.03.2018 | House | Tags: Ametrine, Nafta and Ennea, Maiga, Nerutto, Sam Hughes, PhuturePhil, Synth Collective | Download Ametrine - Meridian Sail (2018) for free. Debut album by core artist Ametrine. Embark on an ancient catamaran in search for mysterious sea creatures, sirens and other wonders tucked deep underwater. Almost a year in the making, the album showcases the producer's ability to create wondrous musical explorations, sailing the high seas from the first ominous sounds of the opener 'Tumultua', feeling hopeful of the journey laid ahead through the title track 'Meridian Sail'. The nautical exploration reaches uncharted territories, diving deep to reach the Mariana's trench but through storms and sunshine, the catamaran arrives safely home with stories of it's able captain Ametrine and his fellow sea men, Maiga, Sam Hughes, Nafta and Ennea , Nerutto and PhuturePhil. A concept album that's testimony to the incredible talent of Ametrine , showing the complexity to the artist's vision of binding progressive and deep house. A journey not to be missed.